Not all surveillance cameras are created equally. It may seem as simple as selecting a surveillance camera and popping it into place, but what about the external factors that affect the quality of recorded images? One of the top concerns for industry professionals and end-users alike is a cameras ability to function in the dark or varied light conditions. Whether you’re using interior or external cameras, their ability to function under varied light conditions is paramount. Our experts at Perfect Connections, Inc. understand the importance of a surveillance system that doesn’t quit when the sun goes down. We are a licensed security systems company that has been providing comprehensive security solutions to businesses throughout northern and central New Jersey for over 25 years. 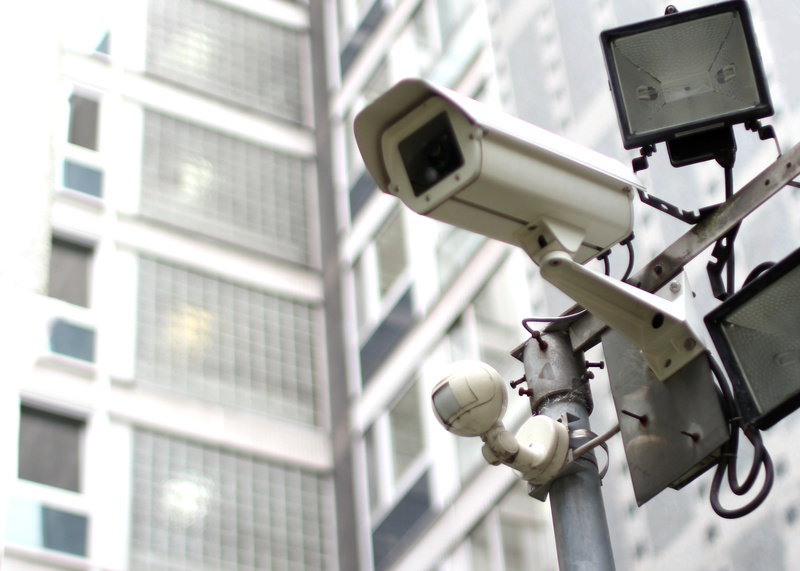 What challenges do different lighting conditions pose to surveillance cameras? The most obvious is the absence or lack of light. Unless your cameras are True Day Night it is likely that they will not be able to pick up fine details in the lack of light. Another common issue is the effect of light glare. Problematic glare can come from car headlights to poorly placed exterior lighting fixtures. Glare will disrupt the sensors in the video camera and the recorded footage can be rendered useless. It is important to take lighting conditions into consideration when choosing and installing cameras as it will impact the overall effectiveness of your system. What good is a camera that captures grainy unclear images or blanks out for seconds at a time? Fortunately there have been vast improvements in the surveillance industry that are changing the game when it comes to light adaptation capabilities. According to Greg Peratt, Senior Director of the Panasonic Video Solutions Integration Team, there are IP (Internet Protocol) cameras that can capture detailed footage in lighting less than .01 lux illumination. Lux illumination is the metric measurement for how much light falls on an object. A measurement of 1 lux, “equals the amount of light that falls on a one-square-meter surface that is one meter away from a single candle.” Therefore a camera that can capture detailed images in less than .01 lux illumination is not only impressive, it’s advantageous. Another helpful advancement in the case of low or varied light is the Infrared Cut-Filter Mechanism (IRCF). This filter is automatically lifted or lowered in front of the camera’s sensor depending on the light levels. The IRCF helps block out disruptive infrared light that can come from sunlight or certain lighting fixtures and it ultimately improves the camera’s low-light performance. When light levels are low-typically at night-is when the filter is automatically lifted from in front of the sensor. 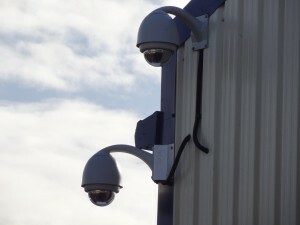 Cameras that have this feature are considered to have True Day Night capabilities. The only hitch with this technology is color is often distorted or lost completely. However, the camera is still able to capture a clear black and white image and according to Steve Carney it captures an image, “…that is not only vastly more usable but also cleaner without chroma noise.” Carney points out another differentiator between True Day Night cameras and the impersonators is what happens when the IRCF is lifted or removed. 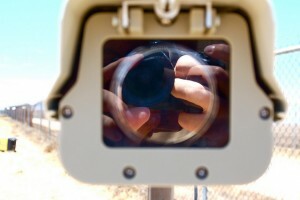 In a True Day Night camera a piece of “dummy” glass will take the place of the IRCF in order to maintain focus and, “minimize the spectral offset between visible and IR light.” In other cameras the ability to remove such a filter doesn’t exist, therefore the full spectrum of visible and infrared light cannot be taken advantage of. Other features to look for when considering Day Night cameras are the shutter speeds and any tinting on the camera housing. Varying shutter speeds affect the amount of the light that is able to be captured. The slower the shutter, the more light is captured which isn’t always better. Often times a camera will come with a domed or “bubble” exterior housing. These “bubbles” can sometimes be tinted. Depending on your application you may or may not need tinting; sometimes the tint can have an adverse effect by decreasing visibility and obstructing image clarity. Whether you are replacing older interior/exterior cameras or installing new, your best solution is to call on the experts. Every business and facility is different which means each will have different requirements when it comes to day/nighttime surveillance. Having a licensed security professional do an in person assessment of your facility will help determine what type of camera should be implemented and where. Our team of licensed professionals at Perfect Connections, Inc. has been providing comprehensive security solutions to businesses and facilities throughout northern and central New Jersey since 1992. We believe in personalized service that tailors solutions to your individualized needs. When it comes to security systems you may have heard the term “edge technology,” “edge analytics,” or “edge devices.” What exactly do these terms mean and why are they important? When talking about security systems “the edge” is typically used when referring to video surveillance components. Every security system integrator and industry professional will likely have their own definition of what it means, but in summary “edge technology” refers to surveillance devices that operate, analyze, and record at their source versus transmitting all that information over a network to the system’s core. In traditional surveillance systems there is a central server where recorded data from peripheral devices is stored and analyzed. In an edge-based system cameras perform these functions locally. Why is this pertinent information? Depending on your specific situation, using edge-based technology can provide more efficient surveillance processes and enhance the overall effectiveness of your security system. As every situation is subjective, a licensed security systems integrator should always be consulted when determining what type of components will serve your business best. At Perfect Connections, Inc. our licensed security system integrators are committed to providing comprehensive security systems that exceed your expectations. We have been installing comprehensive security systems at businesses throughout northern and central New Jersey for over 25 years. We know how to assess your security needs and implement relevant technologies that will help keep business running as usual. Surveillance components that can be considered on “the edge” are IP cameras, video encoders, and network attached storage (NAS) devices. These devices have recently become more advanced and their capabilities that were once unique to the central server of the security system continue to improve. According to Steve Gorski, general manager at Mobotix, “Edge-based surveillance solves the bottleneck problem by using the camera to decentralize intelligence and video data.” This means the cameras themselves are more intelligent and effective. Edge-based technologies allow for higher image resolutions and the ability to compress them without the loss image quality. Even with the use of high resolution IP cameras becoming more commonplace, in a traditional system, the images still have to travel to the central server to be stored and typically compressed; this is where image quality can be lost. Edge technology helps reduce the need for exorbitant storage space on the central server as many edge devices are capable of storing data locally on SD memory cards or NAS devices. Traditionally these types of storage options were primarily used as backups for the system, but they can now be implemented as the main recording devices in smaller applications. Cutting down on the need for centralized storage will reduce the need for high bandwidth consumption, ultimately cutting costs. According to Fredrik Nilsson, general manager for Axis Communications, “It’s estimated today that a staggering 99 percent of all recorded surveillance video is deleted before it’s ever seen.” How does that make surveillance useful? It really doesn’t except for use in forensic investigations or after the fact viewing, but with edge-technologies providing intelligence and analytics at the source, detection capabilities increase which creates a more effective system. With smarter edge devices that can detect patterns, motion, facial recognition, license plates, camera tampering, and people count, you can avoid potential catastrophe that could be caused by deleting recordings to free up space. These types of analytics provide a platform for real-time viewing that can even be streamed to mobile devices, which are also often considered part of “the edge” realm – the ultimate goal always being prevention and proactive approaches rather than delayed after the fact reactions. With any technology, “the edge” is a work in progress and will continue to evolve. It seems edge devices are primarily implemented in smaller applications where the camera need is less than 20. One of the reasons being a server-based surveillance system can run more analytics per camera because of the CPU power, so the more cameras you have the more processing power you’ll likely need. For smaller facilities and businesses with remote locations that need surveillance, edge devices are a viable option as they provide real-time analytics, can store footage locally, and don’t require a ton of bandwidth consumption. At Perfect Connections, Inc. we are committed to providing security system solutions that fit your specific needs. Our team of licensed integrators has been providing comprehensive security system solutions to businesses throughout northern and central New Jersey since 1992. We realize that just because a new technology is available that doesn’t mean it is the appropriate solution to every problem. Our integrators work with you to learn your needs and will design a custom system that addresses your subjective security risks. Do I Really Need Monitoring? 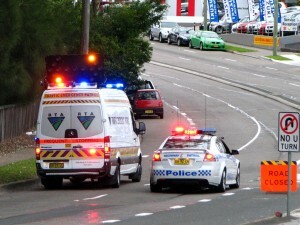 Traditionally in any monitored security system, the individual security devices are installed by a systems integrator and when an alarm sounds or something looks suspicious a signal, and sometimes a video clip, is sent to a central monitoring station which then either contacts the end-user or the local authorities to initiate an emergency response. This system still exists today and is considered an effective means for preventing disaster and catching criminals. However, in light of recent technological advancement, the end user now has the capability to “monitor” their own property via their mobile device. One has to wonder, how effective can self-monitoring be and could it actually replace a central monitoring service? Our licensed team of integrators at Perfect Connections, Inc. has been providing comprehensive security system solutions to businesses throughout northern and central New Jersey since 1992. We have seen how technology can affect not only individual security devices but the system as a whole. There are pluses and minuses to every situation, but its understanding which methods and devices provide the most benefits that make the difference, and monitoring services are no exception. As a business owner it’s nice to feel in control of your facility and what goes on within it. This is where the idea of self-monitoring comes into play. If you have a security system installed at your facility, it can be set up to send notification directly to your mobile device. This means that when there is a disturbance, maybe an intruder walks in front of a motion sensitive video camera, a video clip can be sent directly to your smartphone or mobile device so you can act. The same is true of a tripped alarm. This all sounds great, right? However, it’s not without its limitations. One of the major drawbacks of monitoring your own alarm system is failure to initiate an immediate and adequate response. This could happen for a number of reasons. One being your mobile device is turned off or not on your person. Another could be a missed notification. As a business owner you likely have enough on your plate to occupy the full 24 hours of the day, never mind trying to keep an eye on your facility at all times. It’s a feat not likely met by any independent business owner, you have to sleep at some point. Self-monitoring can also become a nuisance, receiving excessive notifications throughout the day. The constant interruption would be enough to drive anyone mad. It’s for these reasons central monitoring services continue to prevail. The goal of monitoring an alarm system is to create a proactive response versus a reactive one. In the recent past, surveillance footage was primarily being utilized in “after the fact” scenarios where local authorities would try to catch a perpetrator or solve a crime based on recorded footage. Today, with real-time video verified notifications and improving communications, local authorities stand a better chance of catching someone red-handed. There are essentially four different types of monitoring that can be implemented, including self-monitoring. 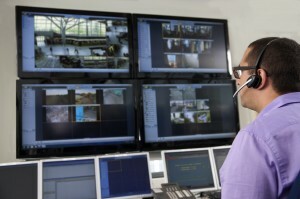 There’s onsite monitoring which typically consists of paying someone to sit and stare at TVs or computer monitors. According to a study from Sandia National Laboratories the attention span of a person viewing surveillance footage for just 20 minutes will be “significantly diminished.” It’s not a very reliable or economical method to ensure the security of your facility. Then you have remote monitoring where surveillance footage is monitored off site by streaming footage over the internet to a remote location. However, this doesn’t mean someone will be vigilant 24/7. This could mean streaming it to your home computer and that would only be effective if someone were there to monitor it. Lastly, there’s professional remote video monitoring. This type of monitoring typically employs operators that are trained on how to interact with local authorities and respond to different security scenarios. These types of monitoring stations are typically staffed 24/7. Professional remote video monitoring is an advantageous service because the operator on duty can interpret live video footage and provide useful information to the local authorities. Information that isn’t necessarily transmitted to a mobile device in a 5-10 sec video clip; things like a perpetrator/s physical description, maybe the license plate or make and model of their getaway vehicle, what the suspect is doing, how many people are present, and whether or not the suspect/s is armed. This type of monitoring can also help filter our false alarms and fees incurred by false dispatches by validating on site activity with the end user via real-time footage. As the end user you can also request that the operators perform occasional virtual tours throughout your facility or parts of it. These routine surveys of your property would help detect any disturbances but also help in general maintenance of your facility. An operator may notice things like loose wires or a piece of equipment that looks out of place. Depending on your facility’s capabilities, monitoring operators can sometimes interact with suspects or people on site through speakers on a VoIP (voice over internet protocol) system. While new technology continues to usher in the desire for self-reliance it also fosters further development of security system components and the way monitoring services are able to interact with them. Many industry professionals agree that having a professional monitoring service is still the preferable method of watching over your facility. There’s simply too many holes in trying to self-monitor your own business. According to Simon Morgan, director of Technology, SureView Systems, “The central station remains the first line of defense.” Matthew Riccoboni, director of Marketing, OzVision, says, “There truly is a value in 24/7 monitoring by the central station. Customers like to know someone is keeping an eye on their assets whether they are awake or not.” With a central monitoring station you can rest easy knowing someone is always there to initiate a response. At Perfect Connections, Inc. our licensed integrators have been providing comprehensive security systems to businesses throughout northern and central New Jersey for over 25 years. We understand the value our customers place on their business that they’ve worked so hard for; we work to provide the best solutions to fit their specific needs. If you live or run a business in central or northern New Jersey and would like information on any of the topics discussed above, please call 800-369-3962 or simply CLICK HERE. Check out this video on actual events that highlight the differences between monitoring stations that have video verification and those that don’t. The last scenario is what everyone wants to avoid. Link: What is Video Verification? In an unpredictable world, one thing is certain, we all want to protect what’s ours. Whether you’re a business owner or a homeowner, you want to keep safe that which you’ve worked so hard for. One of the most effective ways to do that is to install a security system. Well, what exactly is a security system and what makes it a complete security system? Security can be defined as, “the state of being protected or safe from harm,” and system can be defined as, “a group of related parts that move or work together.” A security system is an assemblage of equipment that helps prevent imminent danger or damage. As a licensed security systems provider, our team at Perfect Connections, Inc. has been helping protect homes and businesses throughout northern and central New Jersey since 1992. We believe that complete security systems should not only be a group of working parts, but that it should be comprehensive. Comprehensive can be defined as, “complete; including all or nearly all elements or aspects of something.” After decades of installing security equipment we’ve found that a truly comprehensive security system should include some form of access control, fire and burglar alarms, surveillance, and a monitoring service. Access control is the means by which you limit admission to a specific point of entry. It’s essentially your first line of defense against unauthorized entrants. Probably the most conventional form of access control is a standard lock and key. Today, the lock and key method is either being eliminated or used as a backup to more technologically advanced controls. Traditional keys when lost or stolen can be easily replicated whereas using readers, fobs (tokens), and sometimes biometrics in combination with a password are more concrete and less susceptible to duplication. 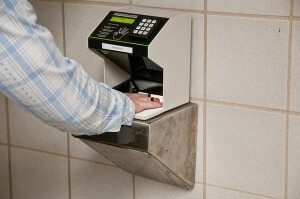 Card and proximity readers are typically placed next to a point of entry and a fob or card that is programmed with the appropriate credentials is used. The card or fob is either tapped or swiped on or near the reader to gain access. The benefit to using a swipe card or fob is if they are lost or stolen they can be deactivated in the operating system whereas you can’t deactivate a physical key unless you change out the entire lock. Biometrics, which uses physical credentials like a fingerprint, is similar in the sense that access information isn’t as easily stolen or duplicated. This type of access control isn’t as widely used today because they tend to be more complex and costly. However, as technology progresses we may see a rise in biometric applications. Fire and burglar alarms are critical alerts in potentially life-threatening situations. Fire and burglary can strike at any given time without warning, wreaking havoc on your business or home. With burglary occurring every 14.6 seconds and national fire departments responding to an estimated 1,240,000 fires a year (2013), it’s critical to the safety and security of any home or business to implement preventative measures. Physical structural damage and property loss incurred by a fire or burglary is only part of the aftermath, the emotional and psychological damage is even harder to repair. In conjunction with burglar alarms and access control, surveillance is essential. When installed correctly surveillance equipment is not only a helpful crime deterrent, but a useful tool in solving crime. In the wake of IP (Internet Protocol) and wireless technology, surveillance equipment is no longer limited to hardwired installations. This increases scalability, flexibility, and ease of installation. It also helps reduce the cost of installation by not having to pull as much cabling through walls. Another benefit to having a surveillance system is the potential capability to access footage remotely. With a plethora of mobile apps at your disposal, you can access your surveillance system to see what is going on at your facility or home when you can’t be there. Being able to remotely access your security cameras adds a layer of monitoring and convenience that, up until recently, wasn’t widely used or available. Lastly to complete the effectiveness of a security system you should have an alarm monitoring service. Without a monitoring service who is going to respond to an active alarm? If you’re lucky someone nearby will call the authorities, that’s assuming someone is actually near your facility or residence when the alarm goes off. An alarm monitor can help save you, your family, or your business from potential disaster by decreasing the response time from local authorities and emergency responders. When an alarm is triggered the monitoring station is instantly notified; they typically try to contact you first, and if they don’t get a response within a given amount of time authorities and emergency crews are dispatched. This is a particularly beneficial service in the event that you’re out of town or unable to respond in an emergency. Having an alarm monitoring service can mean the difference between catastrophe and a manageable situation. A security system is so much more than the equipment that comprises it. It helps provide protection and life safety in a volatile world. Remember, a system is only as effective as the parts that comprise it. For a security system to be comprehensive it should include fire and burglar alarms, access control, surveillance, and a monitoring service, at least. As a security systems expert, Perfect Connections, Inc. has been providing complete and comprehensive security solutions to homes and businesses in northern and central New Jersey for over 25 years. We understand the importance of mitigating the unpredictable and what it takes to do so. Imagine you’re at home and the doorbell rings. You go to answer the door. Who’s there? It’s a salesman claiming to be a representative from a security system company. They tell you they’re at your home to offer you a free security system. Sounds too good to be true, right? That’s because it probably is. 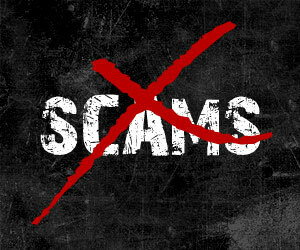 Unfortunately, this type of scam is not uncommon in the residential security system industry. At Perfect Connections, Inc. we believe in helping our customers, not ripping them off. Our licensed experts install customized and comprehensive residential security systems throughout Northern and Central New Jersey. We know each home is unique, which means each system should be tailored individually. False promises, aggressive sales tactics, lengthy and overpriced contracts are NOT what we are about. Unfortunately, there are many door-to-door “sales” people that are only looking to make a quick buck. In doing so, they typically pressure you to sign high priced contracts or make a purchase on the spot. They talk fast to avoid any questions you might have, and to meet their end goal which is you writing a check or giving them your credit card information. These so called “sales” representatives aren’t even associated with an actual security company in many instances. In some cases, like one reported by CBS Miami, these sales associates may falsely represent themselves as part of an already established company. The case in Miami involved a man named Yassiel Cabre who reportedly worked for a company called Alarm Digital Telecommunication. Instead of representing himself that way, he would tell homeowners he worked for ADT, which is a well-known security systems company. He even gave out folders and business cards that clearly displayed the ADT logo. He conned one victim into signing a 5 year contract (industry standard is typically 36months) with a company called Monitronics (ADT competitor), promising them they would be saving money because ADT supposedly purchased Monitronics. Of course this was 100% false. Con artists or aggressive door-to-door sales people will sometimes use scare tactics to get you to sign contracts, buy what they are trying to sell, or simply let them into your home-only to steal from you. They might feed you forged crime statistics about your neighborhood to persuade you into buying what they’re offering. They do this hoping fear will get the better of you. If they’re not scaring you into buying an inadequate or fake system, they might offer freebies. A common tactic is to offer a free “system” in exchange for allowing them to put a sign on your lawn (consumerreports.org). While this may sound like an awesome deal, it’s not. As you’re caught up in the word “free,” long term contracts will be sneaked in as a formality of the deal, and you’ll sign because it seems fair. Next thing you know, you’re locked into an expensive agreement that costs an arm and a leg to cancel. Lesson number one: do your research before signing anything. If you suspect someone of false representation or not having the proper licensing, report it to your local authorities. Be sure you find a security systems company that is not only reputable but knowledgeable. The sophistication and effectiveness of your system is only as good as the experts who provide and install it. For over 25 years Perfect Connections, Inc. has been providing custom residential security systems to Northern and Central New Jersey. Our specialists are licensed and understand the complexities of a comprehensive system. We know how to guide you through the process from an initial on site assessment to final installation. Let us help you protect what matters most. If you live in Central or Northern New Jersey and would like information on any of the topics discussed above, please call 800-369-3962 or simply CLICK HERE. Beware of scammers and make sure you’re relying on a trusted and proven security company by calling us today.